Also, we have coached many "beginners" to the successful completion of their first 5k, 10k, marathon or sprint triathlons. So, our coaching works for those "just starting out", and for those looking to "take it to the next level". Just read some of the testimonials below. Join Us Now and Realize YOUR Dreams! For information about our coaching packages and costs, CLICK HERE to contact us. We started training for triathlons together and Ironman was a race we always watched with admiration and disbelief. We knew it was a long term goal but had no idea how to begin or the steps needed to get there. The only thing we knew for sure was we wanted to do it together. With the Gage Total Training coaching program we were able to start this amazing journey. Jane and George have been incredible resources for us. They have educated and encouraged us as we have worked through our training. With their guidance we became stronger athletes in all three disciplines, were able to complete Ironman Louisville and to place in our age group in every triathlon we entered! Their online program is convenient, holds us accountable, and allows us to make changes and adaptations as necessary. Most of all, Gage Total Training helped us get where we want to be while having an absolute blast in the process! Before working with Gage Total Traininig, my workouts were hit or miss, undisciplined, and lacked strategic focus. There was also zero feedback for correction or reassurance. Once I hired the Gages, I felt like I really started to train with a purpose. Their program is easy to follow. The training log is simple to fill out and submit, and even including a Garmin data report is easy. Their feedback is excellent! They are encouraging and understanding. You truly get the feeling that they are monitoring everything that you are doing and that they care. And in my first race after training with them I took a full 21 minutes off my previous Half Ironman time! 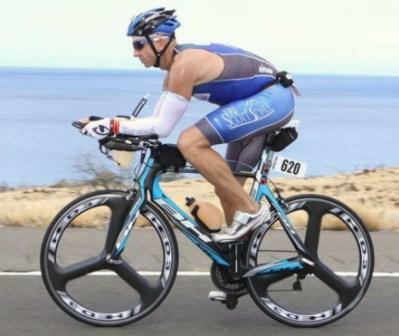 Gage Total Training has helped me accomplish goals that I never imagined, liking racing at the Ironman World Championship in Kona, the 70.3 World Championships in Mt. Tremblant and the Xterra World Championship in Maui. Their online platform is easy to manage, and the Gages personally tailored my training to achieve my goals. The Gages are personable in their communications, take the time to listen, and they want me to reach my goals just as badly as I do. I could not imagine training for endurance events without the backbone of Gage Total Training, and I would highly recommend their methods. Gage Total Training allowed me to reach a new level in my results, by applying specific training methods for the big key events. Their knowledge and daily feedback was immediately applicable. I would recommend them to everyone, from first-timer to someone planning to set records! 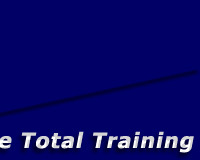 Gage Total Training revolutionized my training sessions, race preparation, and planning for race day. 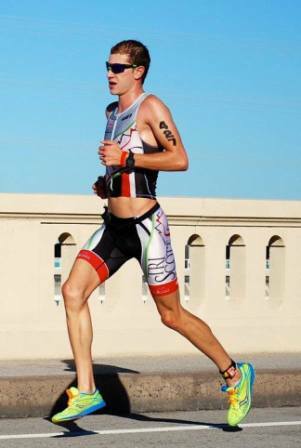 Prior to joining Gage Total Training, I had competed in several sprint, olympic, and one half-ironman race. On my own I felt that I was progressing but I knew that if I was going to achieve my goals I needed to find a coach that would provide discipline, accountability, and positive feedback. I found all of these and so much more with George and Jane. Their years of endurance racing experience coupled with honest, objective feedback allowed me to follow a consistent training plan while juggling career and personal goals. Thanks to Gage Total Training I became an Ironman and look forward to working with them to improve my performances in the future! Jane and George are extraordinary coaches who will take you to the next level if you are willing to follow the program they create for you. Their training programs are carefully thought out, individually tailored and insightful, while also being attainable and practical; they will get the most out of every minute you have available to train. Their constant level of feedback exceeds anything I have experienced. In my first year of training with Gage Total Training, I qualified for four different World Championship events (each for the first time), achieved USAT All American status and set PRs at all 4 triathlon distances. To learn more about Xterra Wetsuits, click on the logo to the left. To learn more about the TriScottsdale Foundation, click on the name above or the logo to the left. Click on the Power Meter City logo to learn more.